It has been a year since I joined a RBKD event so meeting up with the members will always be something to look forward to, especially it is a chalet this round. 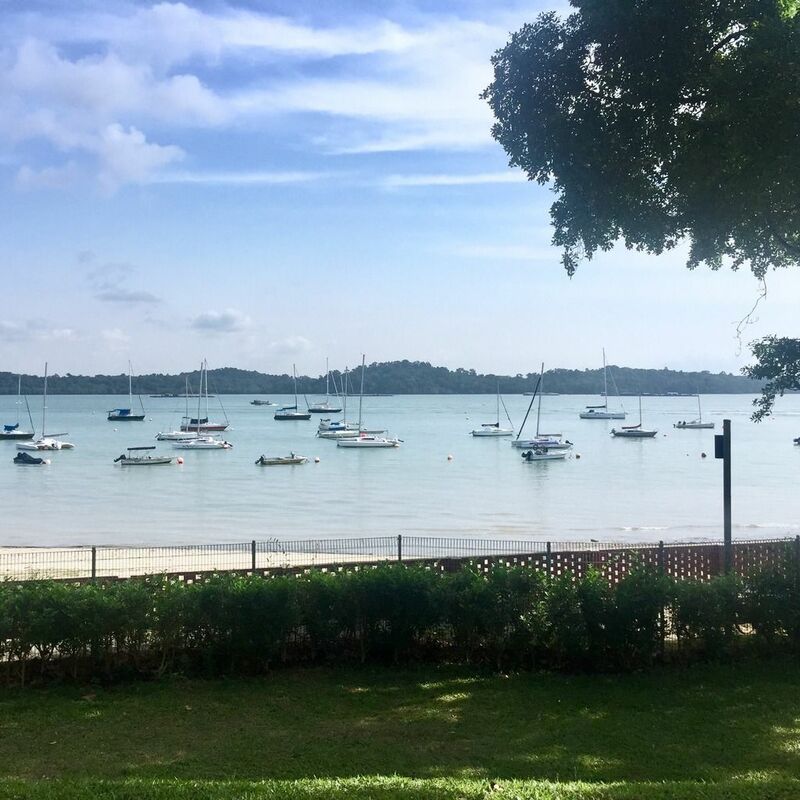 I love it that the location was so serene, quiet and peaceful, with beach by the side, environment with this peacefulness is a good break for me I must say. It’s been a long time since we last had a chalet, I think that was in 2013, during our weareone5. We used to have chalet almost every year before then but stopped after our favourite chalet was torn down. So we wanted to do this again, and decided to tie in with the finale of “Have A Little Faith” because that just sounds like a good idea. We had a steamboat feast while watching her show and a BBQ on the next day. Chanced upon the flag-bearing helicopters heading to NDP preview before we started our bbq. Nice. 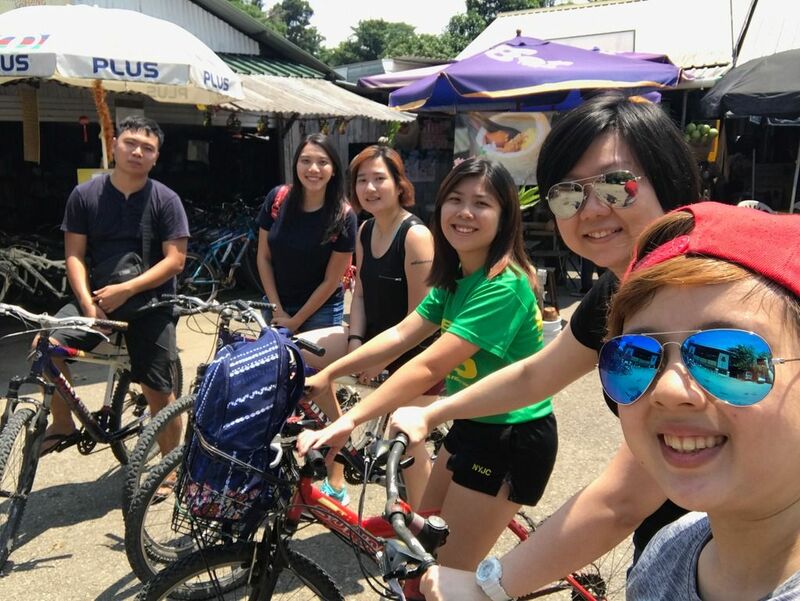 After sweating it out from cycling at Pulau Ubin, having a round of chillax-ing while enjoying our ice cream was especially sweet. 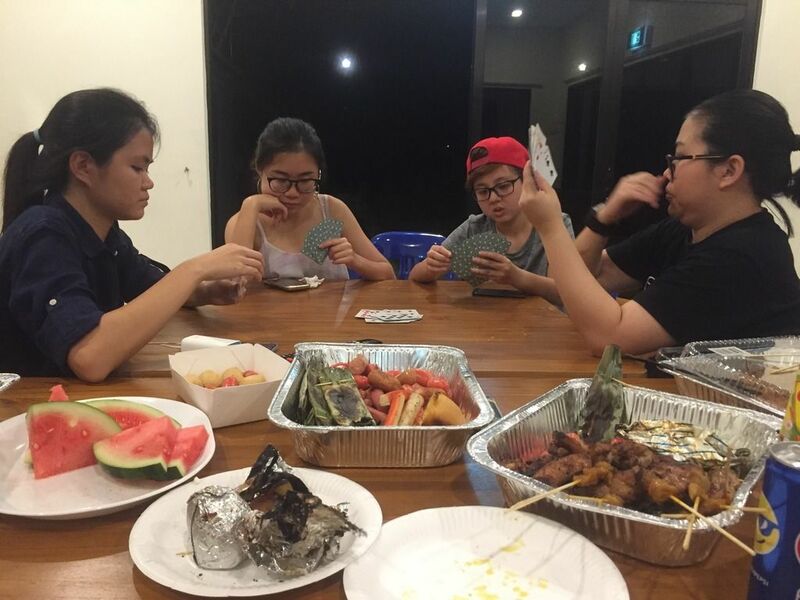 But I think the most fun activity must have been when everyone tried winning in a game of dai-dee so that they could avoid eating the leftover food as penalty. It’s really amusing seeing how hard everyone tries to not lose in this, as everyone’s really too full as the night goes. The recent IPC Badminton session was one that I have been looking forward for a while. As someone who is a huge fan of watching badminton games, I also enjoy playing on court. 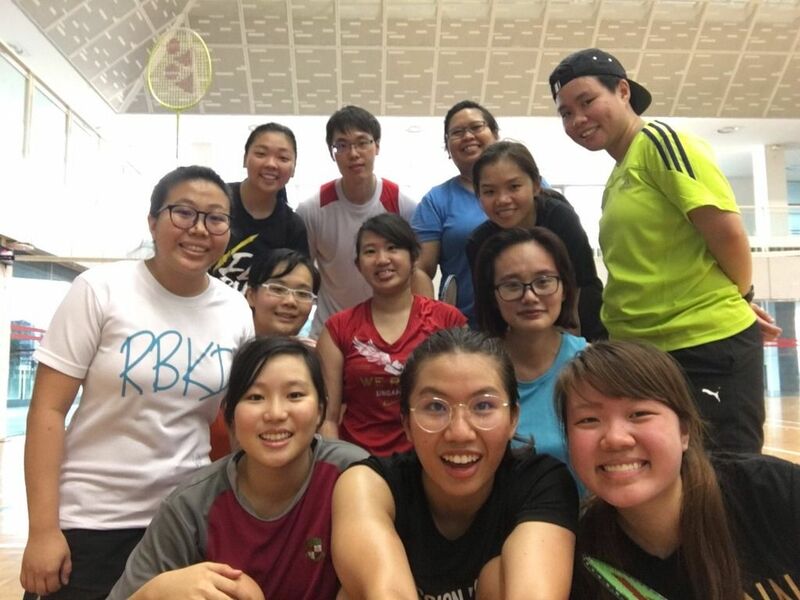 Almost everyone who went for the IPC badminton event played like a professional player. From the way they smashed and served the shuttlecocks, I could foresee their chances of winning national competitions hahaha. The courts at Ngee Ann Polytechnic were located at a humongous indoor sports hall and it is probably one of the more conducive environment to hold a proper game. To sum it up, I definitely enjoyed my time at the session and will be looking forward to the next IPC event. It has been a long time since I have touched my badminton racket. When I was searching for my badminton racket, it was in the corner of my room collecting dust and I was thankful that luckily the strings are all intact hahah. During the badminton game, I could feel my muscles straining with each smash. It was also slightly challenging to block the opponent’s smashes as the shuttlecock was flying across the air like a rocket. However, to my surprise, I have caught most of them and i realised that my reaction was pretty fast too. During the game, we were trying all types of funny rules. For example, playing with our left hand and serving the shuttlecocks in many different ways. I really enjoyed my time at the IPC event and I cannot wait for the next one. 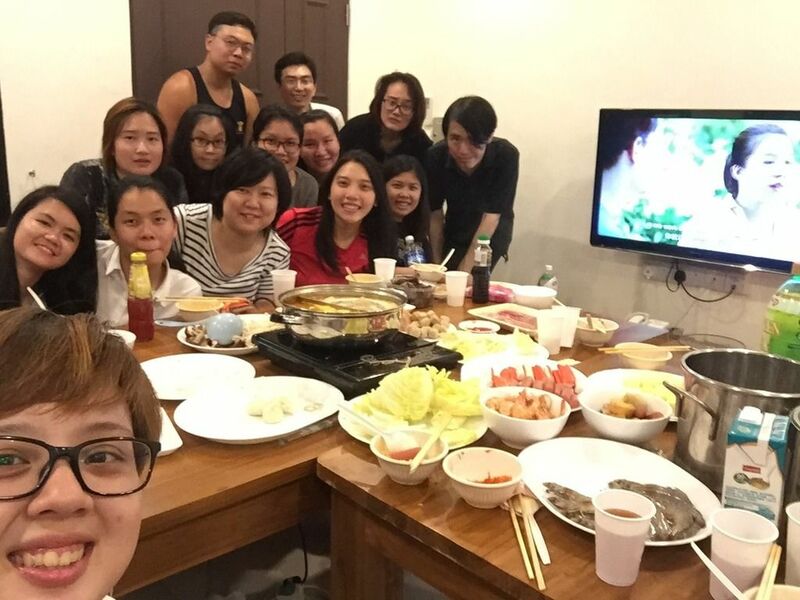 This year’s CNY gathering was a cosy affair. Although it had a much smaller turn-out than previous years’, we still had fun and laughed a lot. We did our traditional tossing of the yusheng, and since there were only 4 of us, we each had to eat a really big portion! But, in true RBKD fashion, we went elsewhere to eat even more after that. I hope that more members will join in for the next CNY Bainian as it’s a really joyous time to know each other more (and yusheng tastes better in smaller portions ). Thank you Bihui for “opening” your house to us this year! I look forward to dinner after activities because to me, dinner is a time when all of us can really sit down, relax, talk and bond. During activities every one of us usually has a duty to do so there is not really a proper time to just talk with our minds blank, we can have this luxury during dinner though. The dinner is a memorable way to end the day’s activity and I certainly look forward to participating in the charity drive in years to come. The weather was hot, sunny and humid and we were perspiring a lot from the short distance to the railway entrance. The trees along the corridor provided some shade from the hot sun. We chatted with each other while walking along the path. Some parts of the route were muddy and some of us tried to find the best way to cross to the other end to avoid getting our shoes dirty. 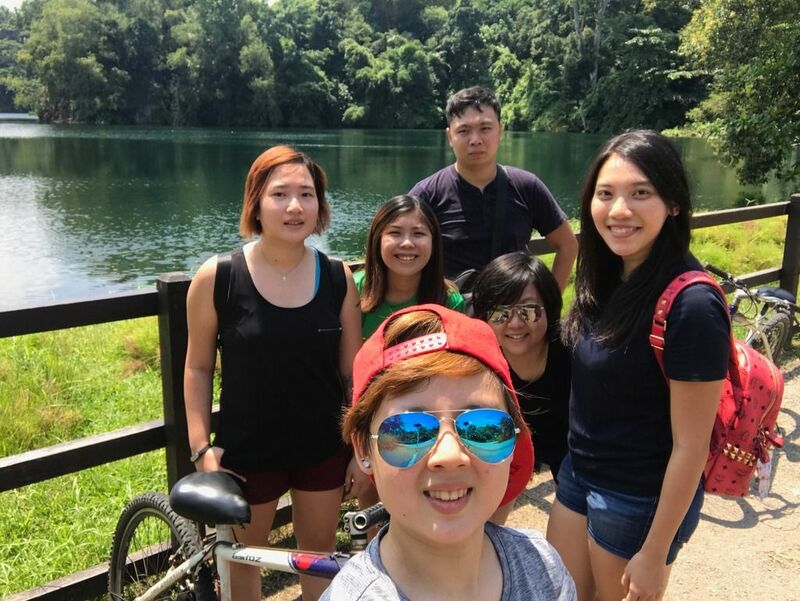 We ended the walk at the old Bukit Timah Train Station by taking group photo. This is the first time I’ve ever met the members of RBKD. I was a little nervous at first as I didn’t know most of the people there, apart from some familiar faces. It was a time where us, non members, could meet the members to get to know them better. It was extremely fun! While walking towards the railway, I still remember myself only talking to another non member as I knew her from previous events. After a while, both of us were asked to talk and mingle with other members instead. At first, it was quite shy but after a while, I started to realise that we were able to find common topics of interest. We talked about our studies and how stressed we were about school under the 36 degrees hot sun! We also stopped at landmarks along the way to take photos and got many nice ones! At the end of the whole trip, I found that I got to know most of the members much better and it was a great experience! I was so excited that Durian season coincided with my school holidays again this year! A really interesting thing happened at the Durian IPC. We were happily chatting while eating, and watching Our Homeland live via an iPad (IKR? You only get to experience such life events with RBKD xD) when everyone looked at each other and went “this one is really good!” Of all the durians we’d bought, one of them stood out, and everyone agreed that it was the best out of the lot. That particular durian was devoured in record speed haha! And it made me think “ah..this is why we are all in RBKD.” Like how when we go for durians, we go and have proper 猫山王 from reliable sellers – none of that 3 for $10 stuff for us – and agreeing on the best 猫山王 out of all the 猫山王s on the table, it’s because we only go for what (or who ) is the best, and we appreciate the best. It’s not a mere coincidence that we are in RBKD. It was my first time organising an IPC and also the first successful Basketball IPC. I have always thought that renting a basketball court would be easy but I was wrong. The timing was either limited or place is too ulu. Luckily with the help of fellow member, Yanjun, we managed to book the court at the sports hub and it’s free of charge. I was initially worried that the IPC would not be successful as the sky turned cloudy in the afternoon. Thankfully the sky cleared up by 3pm, but the scorching hot sun came out as a package too. With a group of 7 participants, we utilised only half the basketball court but we could hardly survive 2 games of it. After all we are not professional basketball players. Despite the hot weather and my “need to brush up” basketball skills, I enjoyed the game with fellow members. I think we should organise more sports related activities to keep ourselves fit and healthy. This is my first time organising an event for the FC. I have gained quite a lot of experience through this event. At first I was worried that the route I planned was too far. Moreover, that day’s weather was not helping us. While planning, I estimated that we will take 2-3 hours, however everyone completed the walk within 1 hour. Next time we should take a longer route! I hope that I will still have the chance to organise such events again. Really appreciate everyone’s time and effort for coming down! Not my typical Saturday evening but it feels good to be immersed in the beauty of nature after a week of work. The Southern Ridges – I’ve been there a few times but never in the evening nor in such a big group. It was a completely different experience with the beautiful sunset, the evening “breeze”, the companionship and the chance to have a hilltop view of snippets of the aircrafts segment of the NDP rehearsal. Although it wasn’t my first time having dinner with RBKD, I was very excited for this dinner because it’s my favourite Korean BBQ! Upon reaching the location I was kind of excited and found it rather cool to know that we actually have a private room for ourselves and of course we started cooking the food and eat and eat and eat!! Apart from the good food, it was the company that made me really happy that day. Hope to have more of #noneedforreason #rbkddinnertogether soon!!! It has been a long time since we had a dinner together. Also, it was a wonderful idea to go to Korean BBQ to catch up and fill our tummies. Because we have to wait for the meat to cook so during this time, we talked about what we had been doing and how our lives were going. I always have a great time catching up with them and would look forward to the next time we meet again!